Another chance to stretch and survive the winter stiffness! Saturday January 27th, 10-11.30am. £10 – limited places. Book under ‘Workshops’. Warm, friendly, relaxing … probably followed by a social cuppa. Lovely summer stretch and relax workshop at the CORE studio Saturday 18th August 10-11.30, £10. All the favourite stretches, lots of mindful breathing and relaxation. Enjoy. SUPilates and SUP this summer – in Conwy! Please contact us if you have any queries - we will be happy to help. CORE Nutrition Pilates © 2015. 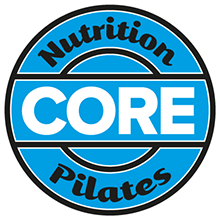 ‘CORE nutrition pilates C.I.C.’ is registered with Companies House: registration number 09341304.